Have you been thinking about starting a blog? Are you a designer that wants to sell your products online? Need a website to promote your fashion business? The web is filled with options and it can feel overwhelming at times. Where do you start? 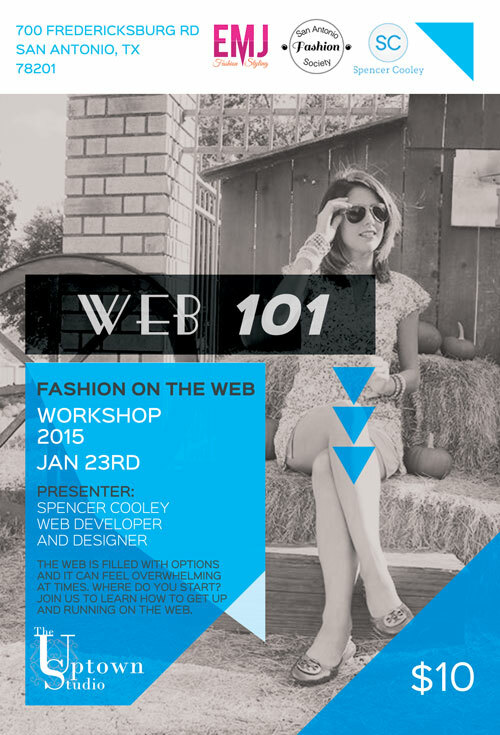 Join web developer and designer Spencer Cooley to learn how to get up and running on the web. *Learn what web platform is best for you. *Learn how to effectively use digital marketing tools. *Avoid overpaying for web services. *Learn how to make your web presence look more professional. *Get ideas on how to monetize your online pursuits. *Know when you need to hire people and when you should do it yourself. This seminar is designed for people that are curious about how to get started on the web as well as people that already have a web presence but would like to learn how to up their game and look more professional and crisp. This is also not a fashion specific event I am just hosting with fashion meetup group. So if you would like to learn about the web in general make sure to come check it out. Give me a holler next time you do something like this.